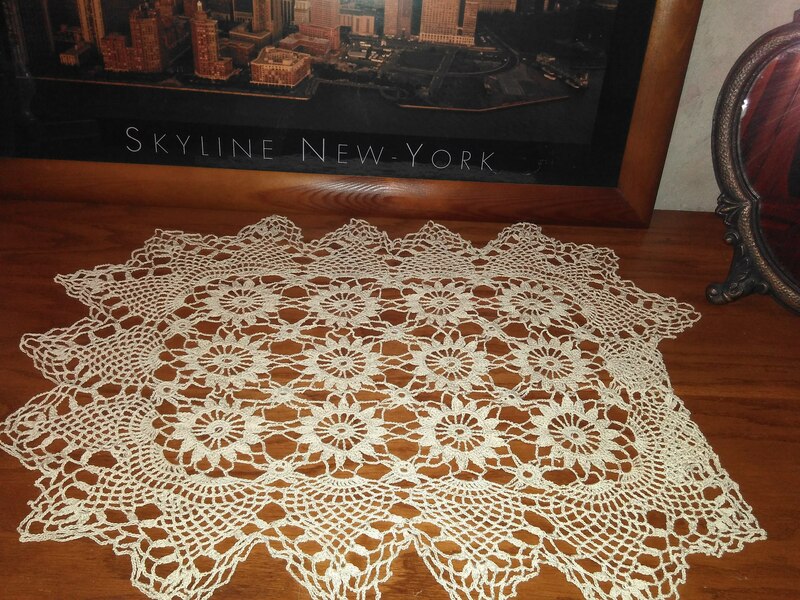 When I was back home last week, I used the opportunity to take pictures of my teenage crochet masterpiece: a set of night table covers made in the same pattern, using similar yarn in different weights. I started the first one when I was about 14, and finished the second one about 5 years later. As my daughter was playing with my old dolls, I also found some stuff from even earlier years. My first FO! Ever! It’s quite in bad shape, but still alive. And a few clumsy doll clothes that I made at the age of may be 10-12 years old. Anyone else has got photos of their old work? Share in your blog and link here – below in comments! Separator image Posted in My kniting & crochet and tagged with Throwback Thursday. Those are awesome! You should be proud of that work you did when you were so young! the doll clothes look better than some I’ve seen in stores…you could market them! Isn’t it fun to look back? I have no old pix – and didn’t pick up a hook til I was in early 30’s – made shawls for my 3 girls and one for my Mom (which I now wear). Have no idea what happened to ones I made for girls…my ex probably threw away when he was moving out of the house. Thank you! It is nice to revisit the good memories! 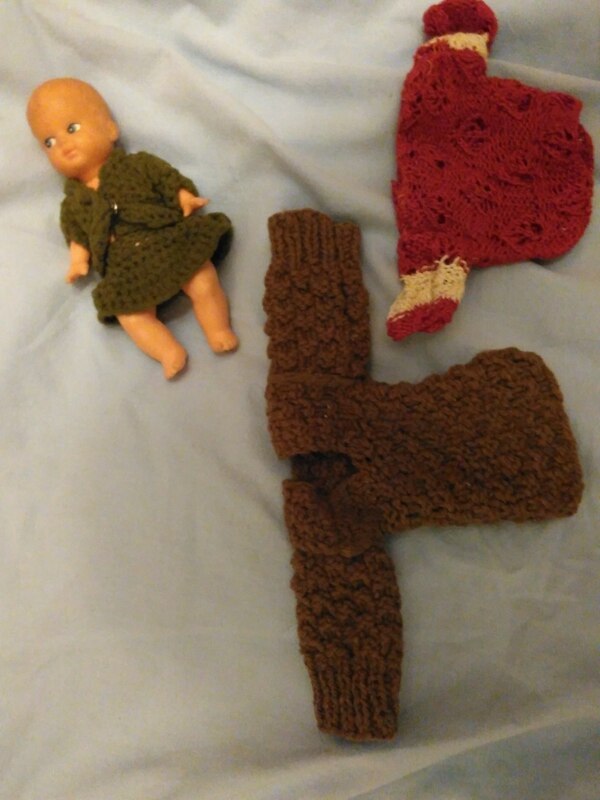 I guess doll clothes could be good to sell, considering how quickly they can be finished. Now I have too little knitting time even for that. I never hoped these small items would survive for so long or given any effort on my side to keep them – I should thank my mom for that! You should be so proud of this beautiful work. How nice to go down memory lane. I was quite excited to see all these items. I knew that the covers were still in use, but never hoped to see the older stuff again.